plus a £30 giftcard to spend on espa products online. Bargain right? 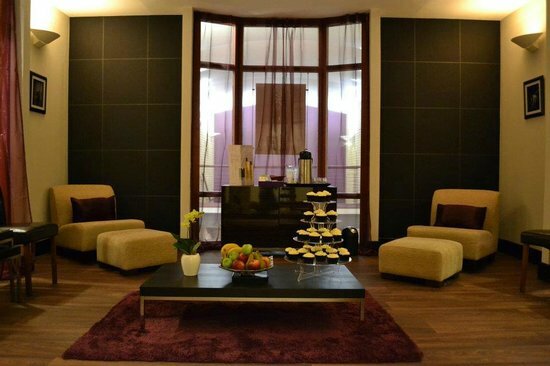 The Spa is within the David Lloyd Gym and easily reachable from the train station or if you are driving there is a huge car park as it is part of the big entertainment complex with cinema, bowling and restaurants etc. The spa is up the stairs on the right hand side when you arrive which will lead you up to reception where I was given a lovely warm welcome and details taken/voucher redeemed without a fuss. I was then taken into the lounge to fill out a health questionnaire and wait for my treatments where I was treated to a drink. The lounge is super nice with comfy seats, magazines and the lights were dimmed/music playing to get you feeling chilled. 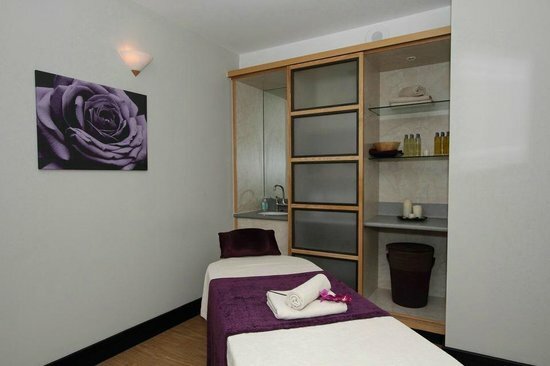 Before I knew it I was greeted by my therapist for my first treatment which was an express facial. On the way to the treatment room I had the treatment fully explained to me and was asked about my skin type/any problems so my therapist could tailor the products used and techniques for the best experience. Once in the room the therapist left for a few minutes to allow me to take off my top (not bra) and get onto the couch under a towel, this is because the the neck and decolletage area is worked on during the treatment not just the face as I'd previously thought. My skin was then fully cleansed, exfoliated, a treatment applied and then a mask, all of which were taken off with hot towels and applied with massage movements. In a nutshell it felt really nice, my skin felt fresh and smelt fab. Facials do bring impurities to the surface so I have had a couple of spots since and a touch of redness after the treatment but have noticed an overall improvement in tightness and softness of my skin. Next I had my aromatherapy back, neck and shoulder massage. You remove all clothing except your knickers and lie face down on the couch on heated towels with your head on the headrest and a towel over you to cover you up. I was asked if I had any aches or pains to sort out but as I don't really have any we opted for a relaxing treatment with specially blended oils. The massage itself was amazing and I felt in a almost dreamy state. I'm not going to go into specifics as I honestly couldn't tell you every exact thing that she did but I can honestly say I had the best nights sleep that night I have had in months! Apparently I have a lot of tension and knots in my shoulders which could be contributing to my headaches which I thought was interesting. My skin also felt really soft and nourished by the oils and I could still smell them when I was in bed. On this occasion I opted not to use the other facilities as I'm not a huge fan of swimming etc and had a few time constraints being my siblings wandering round the shops so happily called it a day but next time I go I would definitely check them out. I had a really good experience over all and wouldn't hesitate to go again or recommend going to my friends. As an aromatherapist, I'm so pleased you had such a positive experience. Massage with essential oils is one of life's special pleasures.